They’re distinctive bikes, with a stylish history. In fact, they were almost instantly vintage when they hit the scene in 1950’s London. The kids loved the name, and adopted the persona. Recognized for their sleek lines, Spartan appointments, and signature down turned, baton handlebars, the impact of the café racer on the motorcycle industry includes legendary high-performance motorcycles like Triumph’s Bonneville, Honda’s CB-750, and Kawasaki’s Z-1 have continued the sleek charm of the Cafe Racer. 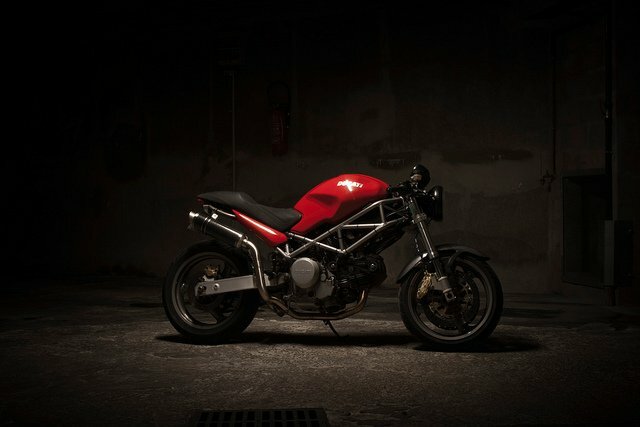 The original café racers’ methods for tuning and designing their ordinary street bikes for power and handling have influenced the modern sport bike. But really, the café racer aesthetic is probably the most stylish of all bikes. Take for instance this Yamaha. The café racer movement that took hold in London in the 1950s, has developed into a subculture encompassing a desire for speed as well as vintage flair. One of the birthplaces of the café racer was London’s Ace Café. The Ace was one of many cafés that provided a gathering place for teenagers and their motorcycles in the 1950s and 60s. Devout motorcyclist Mark Wilsmore reopened the Ace Cafe in 1994.